I posted before (and in Oct. 10, Aug., Jan.) about how I think the Many-worlds interpretation (MWI) is unscientific philosophy at best. The paradigm is the Double-slit experiment. 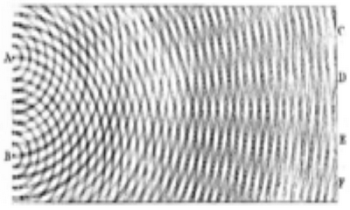 Quantum mechanics teaches that if you shine light or an electron beam thru a double-slit onto a detector screen, then detection probabilities can be calculated. The light is neither a particle nor a wave, but you can represent it as either for doing the calculation. All of this has been well-understood for almost a century. 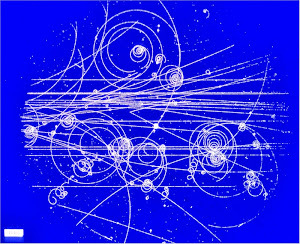 MWI makes a series of assumptions: (1) light is a particle (photon); (2) the photon can be two places at once as it passes thru the double-slit; (3) all photons have ghostly partners that we never see; and (4) when the photon is detected, the ghostly partners disappear into other worlds where they are detected by other ghosts. Assumptions (1-3) seem harmless and unprovable;. They are useful for calculations, as long as you do not take them too seriously. That is, you can think of light as photons, but those photons are not like marbles or specks of sand or any other particles in your everyday experience. Assumption (4) has no physical consequences or computational utility. There is no scientific value to the assumption. These assumptions make the double-slit harder to understand because the probabilities are harder to interpret. If quantum mechanics says that a detector has a 30% chance of detecting a photon, then the usual interpretation is that you can run the experiment 100 times, and detect about 30 photons. But under MWI, the photon is detected 100% of the time in some universe, and we don't know which universe we are in. MWI is a joke. It shows that physics is in a sorry state that so many take MWI seriously. Reality: Is everything made of numbers?